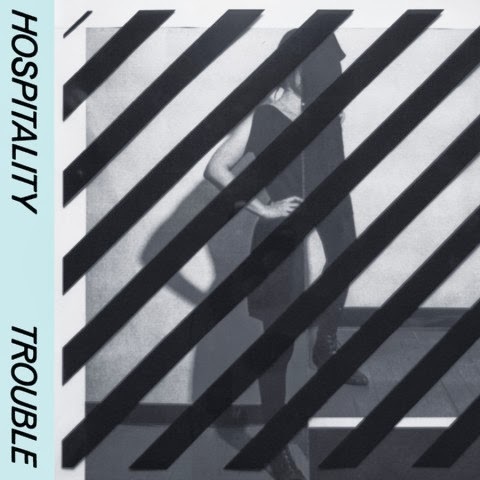 Hospitality is scheduled to release their sophomore album Trouble, via Merge Records, on January 28. Check out the track “I Miss Your Bones” from the upcoming album below. The first thing you might notice about Hospitality’s sophomore album Trouble is what you don’t hear. The process of completing Trouble was, for the band, one of learning to accept silence, to let that empty space exist no matter what it might awaken or evoke. 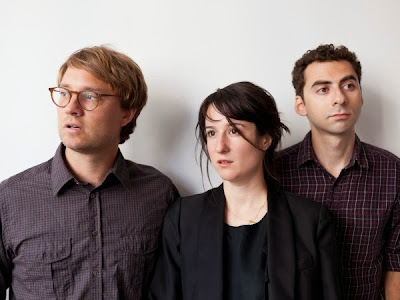 You could catch glimpses of these dark and unexplored places in the margins of Hospitality’s 2012 self-titled debut, but they are at the very heart of Trouble. If you listen closely, you can hear a band pushing against their own boundaries and limitations until they find the very air around them subtly but perceptibly changed. The album unfolds like a walk on the beach or a journey to a place you didn’t know you were going. Perhaps a darker sound overall, but Trouble begins with the trademark Hospitality pop then unfurls to reward the listener with the more expansive stripped-down instrumentation of side B. And here, again, is that distinctively present silence, creating a space where an undulating synthesizer feels as alive and mysterious as a single voice in a room.